With Azure Media Services customers can encode, protect, index, and deliver videos at scale. Recently, Microsoft announced several enhancements to this service in Azure, including the general availability of the new Azure Media Services v3 API, as well as updates to Azure Media Player. The new Azure Media Services API (v3) allows developers to set the StreamOptionsFlag of a LiveEvent entity to a new feature called LowLatency. This feature, according to John Deutscher, principal program manager, Azure Media Services, supports eight seconds end-to-end latency when used with Azure Media Player’s new low-latency heuristic profile, or ~10 seconds with native HLS playback on an Apple iOS device. Furthermore, Microsoft increased support for live transcoding durations up to a full 24 hours when using the new LiveEvent entity. With the new Azure Media Services API (v3), Microsoft also added more notifications for common operations through Azure Event Grid. 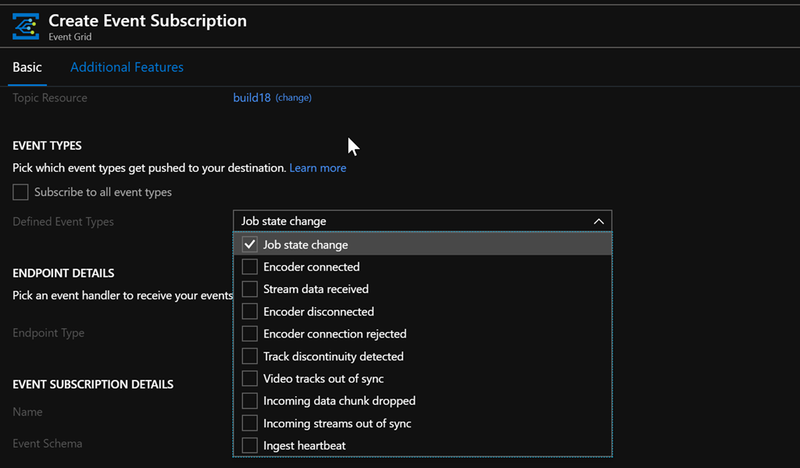 Developers can now configure subscriptions to state change events from Job and JobOutput operations. Furthermore, when monitoring a live stream, developers can now use new events such as live ingest heartbeat, and connected and disconnected events from the upstream live encoder. The transition of the v3 API over to Azure Resource Management (ARM) offers developers the opportunity to leverage ARM templates for easier deployment and applying role-based access control (RBAC) on assets. With the v3 API, developers can also more easily interact with Azure Storage. A developer can now point to an existing file in Azure Storage using a SAS URL or ingest from it from any HTTP(s) accessible URL. Furthermore, the developer can easier create assets in Azure Blob Storage by setting the container name directly. Another addition to the v3 API is support for the latest MPEG Common Media Application Format (CMAF) with ‘cbcs’ encryption. CMAF is a new multimedia file format that provides storing and delivery of streaming media using a single encrypted, adaptive bitrate format to a wide range of devices including Apple iPhone, Android, and Windows. Developers can use the format to merely add the following new 'format=' tag to the URL of their streaming URLs and choose the appropriate manifest type of HLS (for iOS devices) or DASH (for Windows or Android devices). Lastly, Microsoft made updates to the Azure CLI 2.0 module for Media Services to include all features of the v3 API. With the CLI, developers can execute queries for running Jobs, create Live Events or custom Transforms, manage content keys, and more. Also, the CLI module has support for Streaming Endpoints, content key policies, and dynamic manifest filters. Developers can start exploring the new v3 API and sample through the website. Pricing details for Azure Media Services are available on the pricing page.